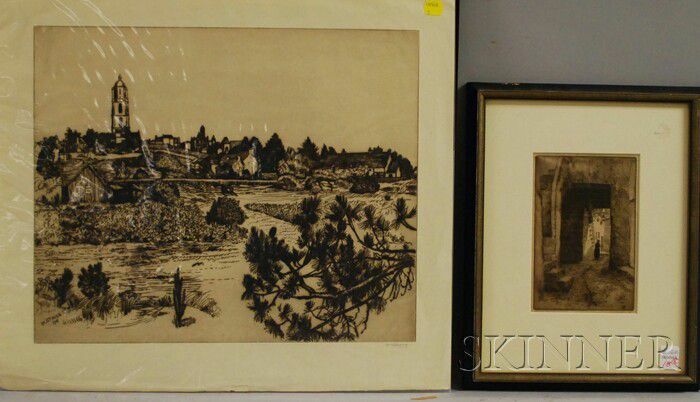 Lot of Two Etchings: William Strang (British, 1859-1921), Marshy View to Village, signed "Wm Strang" l.r. 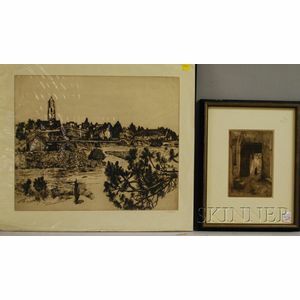 and signed and dated "1913" in the plate l.l., sheet size 17 1/4 x 20 in., unframed, (mild toning); and Maurice Achener (French, 1881-1963), Isola dei Pescatori, titled l.l., numbered "16/30" l.c. 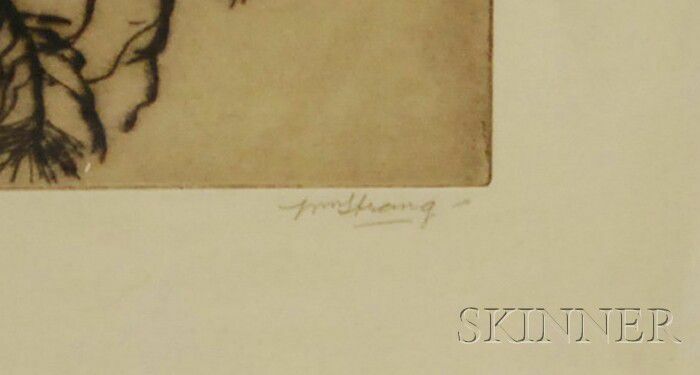 and signed "M. Achener" l.r., monogrammed in the plate l.r., sight size 7 1/4 x 5 in., framed, (not examined out of frame).